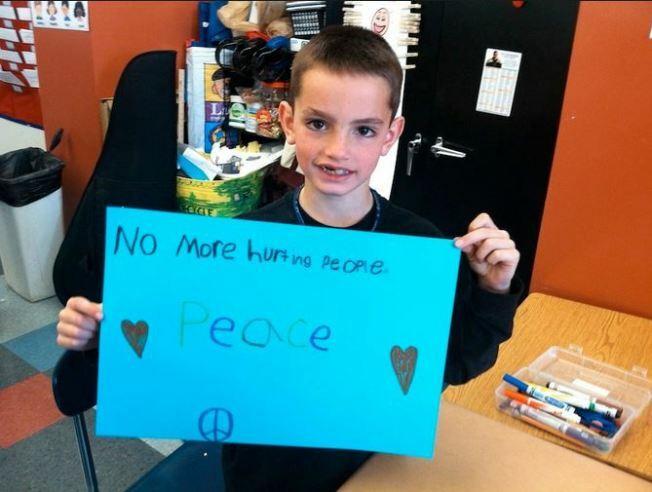 Martin Richard was 8 years old when he was killed in the Boston Marathon bombing on April 15, 2013. Police in Massachusetts are warning residents of a donations scam using the name and logo of a charitable foundation created by the parents of Boston Marathon bombing victim Martin Richard. A Holliston, Massachusetts resident alerted police to the fraudulant activity Tuesday after receiving a suspicious email that used the Martin Richard Foundation name and logo, reports the Holliston Police Department. Authorities have confirmed with the foundation that they do not raise funds in this way. Their normal fundraising comes from official Team MR8 runners and supporters. The foundation was created in honor of Martin Richard, one of the three victims who died as a result of the Boston Marathon bombing. It seeks to help young people get involved in community engagement and volunteer work, as well as promote values of sportsmanship, inclusion, kindness and peace. "Generosity, kindness and the willingness of people to take care of one another is the backbone of our work at the Martin Richard Foundation and the people of Holliston are a clear example of how neighbors can act proactively to protect others," the foundation said in a statement. "We're grateful to the Holliston Police Department and engaged residents for alerting the public of the fraudulent use of our Foundation's name and brand in an apparent fundraising scam. We couldn't do our work without the community's support. Richard was 8 years old when he was killed in the April 15, 2013 bombing near the marathon finish line on Boylston Street. Two others were killed that day, and 260 others were injured in the attack. The foundation noted that donations could be made at MartinRichardFoundation.org.